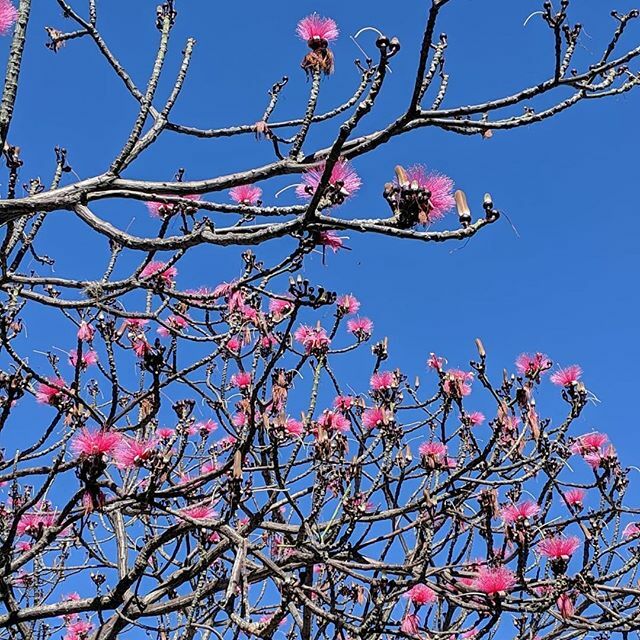 A colorful series of blooming trees in town announces the South Pacific Mexican spring. The jacaranda trees bloom with brilliant purple flowers. 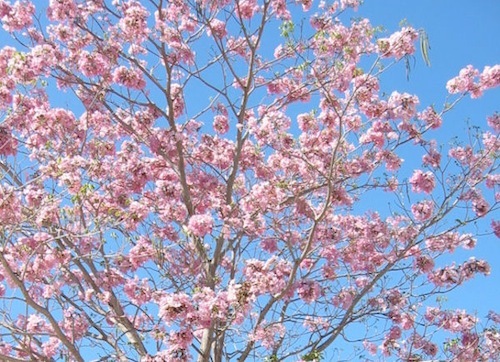 The primavera trees (Tabebuia) blossom with pink or yellow showy flowers. Bats pollinate the trees. Bees and several species of hummingbirds are attracted to the flowers. The shaving brush tree (bombax ellipticum) blooms early spring with unique, bright pink flowers. Lasting only a day, the flowers fall off to welcome the leaves. Some of these trees are grown as ornamentals. At the same time, around the southern Pacific coast, a special type of forest, the tropical dry forest is beginning to blossom. If you've visited in winter, have you ever wondered just what exactly is happening in that dry forest? So many things are happening in Huatulco's forest. Even though it may look uninhabited, it has an amazingly high number of species both plant and animal living here. And the dry forest is completing its deciduous cycle. Further north, deciduous trees go into slumber to protect themselves from the cold. In Huatulco, trees lose their leaves and go into slumber during the driest months to conserve moisture. Huatulco is in the “Seasonally Dry Tropics”. All continents that have tropical climates, also have dry tropics. These dry tropical regions actually cover more area than the wet tropical regions. The dry tropics vary around the world in length of the dry season and amount of rainfall. Invariably, rainfall occurs in the summer as the temperature of the land increases and becomes warmer than the surface temperature of the ocean water. This causes reversal of the wind flow patterns in some cases and causes the seasonal rainfall. The vegetation in southern Mexico is considered in three elevation zones. 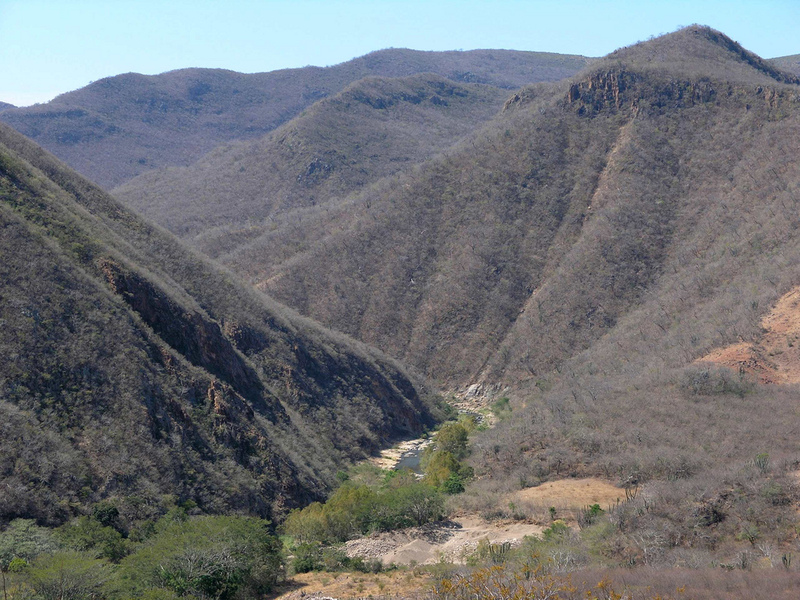 The tropical dry forest is characteristic of our Pacific coastal area around Huatulco. This type of forest is limited in Mexico to the lowlands (from 0-500 meters). Temperatures here vary little throughout the year. Seasonal changes are based on rainfall patterns. Annual rainfall is usually below 2000 mm and varies significantly from year to year. 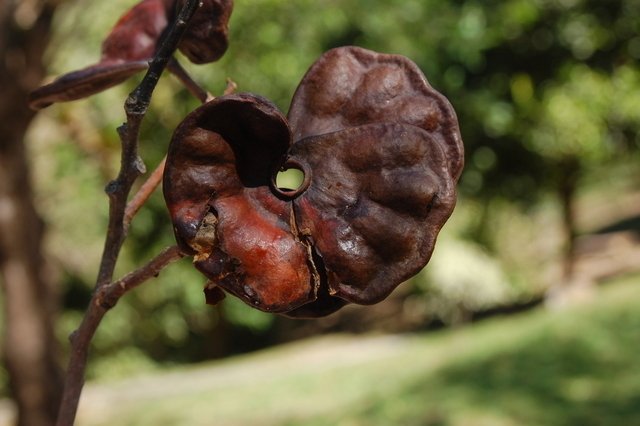 The dry season lasts about 6 months. 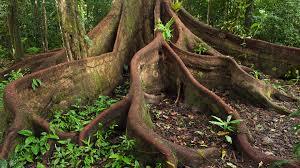 The trees have a significantly larger root system than trees in wet forests. All of this said, it is difficult to categorize completely this Mexican west coast dry tropical area. All of the factors including amount and timing of rainfall and temperatures vary greatly from one year to the next. This timing also determines when the leaves fall. Some years, leaves will remain green well into January. Some years, leaves will fall much earlier in December. Generally, the closer the tropical dry forest is to the equator, the more species can be found. Huatulco's dry forest is unique. The tropical dry forest in this area has more species than in comparable forests throughout the world with the added dimension of also having a higher amount of endemic species. 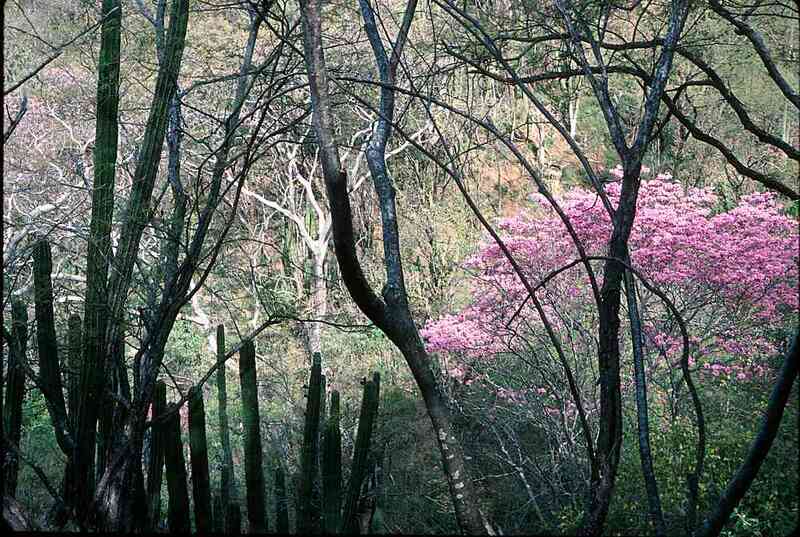 Huatulco's forest has a large variety of vegetation dominated by trees. The name ‘Huatulco' comes from an ancient legend meaning “where the tree is worshipped.” Walking through Huatulco's forests, you can see Guanacastle trees, Ceibas, Caobas, Guayacan and Camaron . According to scientific data from studies of the dry forest across Mexico, in the forest of Huatulco alone, there are 736 species of plants, 300 species of birds, 130 species of mammals, 72 species of reptiles, 15 species of amphibians. 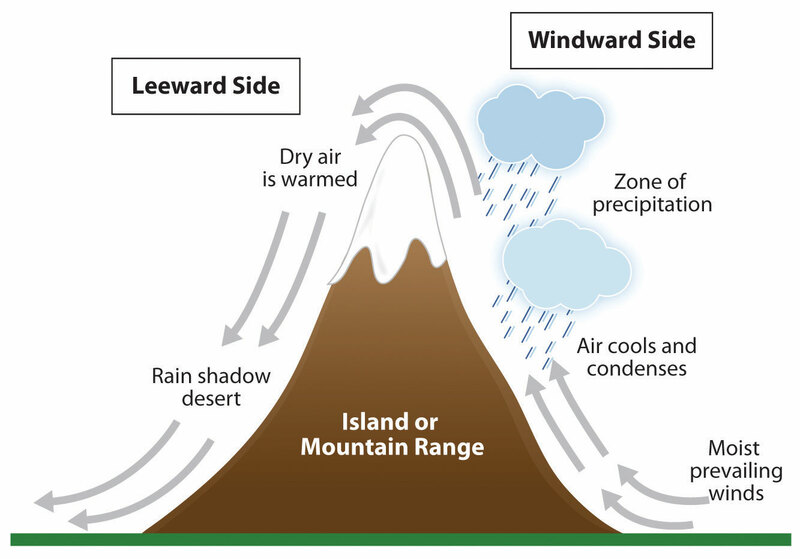 The prevailing winds from the northeast during the winter season, and from the east during the summer season, cause the southern Pacific coast to be in the orographic rain shadow. The rain shadow is created on the side of the mountains away from the predominant wind (or our southern side). The mountains block rainy weather and create a “shadow” of dryness. Tree canopies in the directly exposed coastal forest can be as low as 2 meters because of salt spray. Natural vegetation here does not vary much. However, in more mature forests slightly inland, canopies can measure 40 meters high with a great richness in tree species. All of this dry forest is deciduous to some extent. The degree of deciduousness varies according to rainfall, sites and species. Half of the trees bear fruit twice a year. More than 25% of trees bear fruit continuously. This is a challenging forest to study. Biologists estimate that human intervention in the forests goes back at least 11,000 years and that in fact most of the vegetation is a product of human intervention. Not much attention has been paid to this type of forest scientifically. It is disappearing quickly and reforestation efforts and conservation efforts are being put in place. Although not as visible as the plight of wet tropical forests, the issues of the tropical dry forest are now being taken into account. Huatulco preserves this forest through a natural park and by consistently protecting green spaces. Take a hike with a local wilderness guide to visit waterfalls and discover the local forest or travel on horseback to remote villages experiencing the forest along the way. 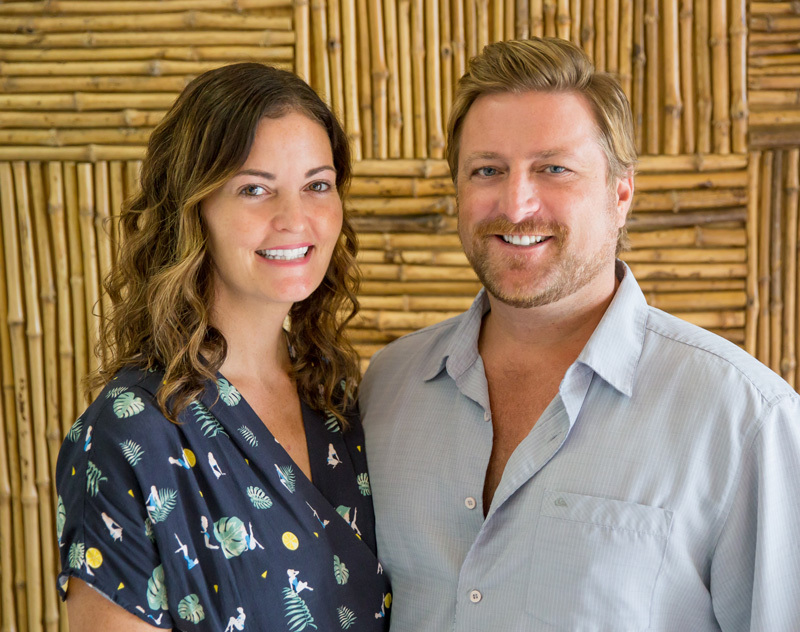 Get in touch with us for your next vacation rental. We’ll also be happy to point you in the right direction for an adventure right for you to discover our unique forest.